Product Spotlight is a feature designed to showcase individual products in our broad offering. We'll highlight key features, discuss how the product is used and more. Interested in seeing a particular product featured here? Let us know! Quick, what's the first thing that comes to mind when you hear "secure your ID card?" Everyone is entitled to have an opinion, but for the most part, the one that springs to your mind first has a lot to do with your line of work and what you're using your ID card to do. If you're working in a small office where your employee badge is an afterthought or a mere formality, you're more likely to lean toward the first choice. However, if you're working in a government office, a high-tech firm or in any position that requires security clearance, you're far more likely to gravitate toward the second option. It's a fact that eludes many people who use "common" ID cards, but for certain segments of the population, an ID card falling into the wrong hands could have catastrophic consequences. For that reason, there are people who require a "secure" ID card solution that goes beyond just securing the card to the wearer. Instead, those people need a solution that keeps the card itself secure, safe from prying eyes or mischievous hackers. For people like that, a simple badge holder isn't going to be good enough. CardProtectors: the name itself sounds imposing. The name "CardProtectors" makes it clear that nothing is going to mess with your ID credential. 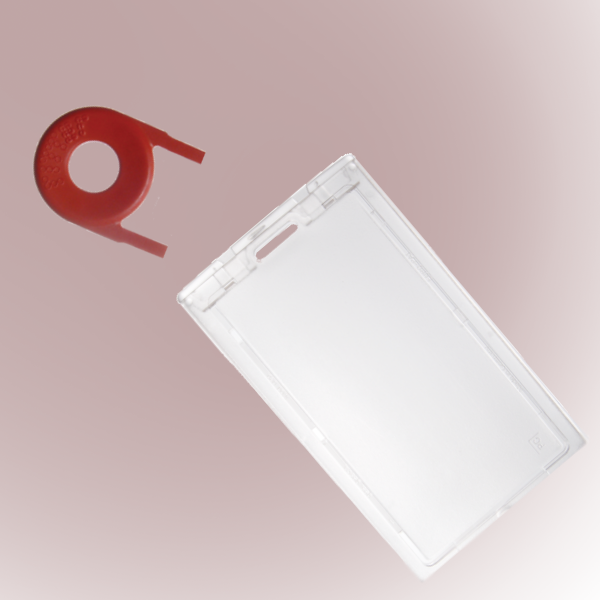 And with any shielded badge holder, that's the ultimate goal: to protect the data stored on a smart card. We've discussed shielded badge holders on this blog before, and a more recent post illustrated just how real the threat of data theft from skimming is to all smart card users. It's arguably never been more important to use some kind of tool to protect your smart employee badges. 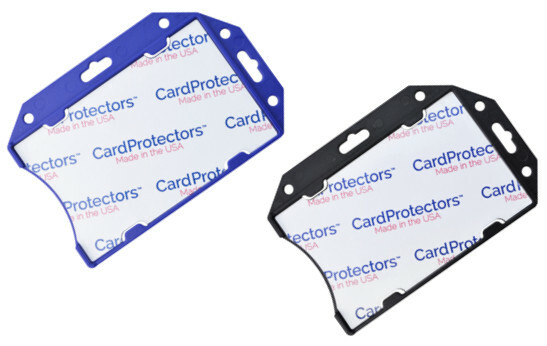 With the threats of skimming in mind, CardProtectors shielded card holders are the perfect badge holder to protect your smart cards, giving you peace of mind and ensuring that no data is stolen and no cards are cloned.